How to Make a Lot of Money through Your Business. Then, you URGENTLY have to start your own profitable business. It is not easy to start a business and make it successful in Nigeria. 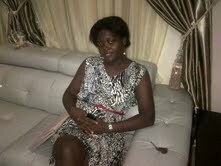 I know it`s not easy because I have been in the Nigeria business world for over 20 years. It`s not easy, but it`s very possible and achievable… if you`re serious. but we can show you how to have a good start for a very profitable business of your own, even if you have little or no capital. In fact, it becomes far easier when you have an experienced person who is willing to stay by you and guild you. We are willing to become your friend and to show you the way, step-by-step. feel free to call me on 08100446044 or meet one of our team members in our Lagos office at No 90, Lagos road, Ikorodu, Lagos State. Why am I so sure that we can show you how to start your own profitable business and make money in Nigeria? Because I have been in the business world for over 20 years and got involved with more than 11 businesses. Because I was born poor just like you and even sickly, yet I overcame every obstacles and become a business owner. Because I have acquired business skills by reading from more than 750 business books. I have tens of business tactics, techniques and strategies you can`t find easily from anybody else. I am a business man who has been in the business world per-time and full time for over 20 years. I am a business consultant, a motivational speaker, and the author of 5 business books. I and my wife live in Nigeria. I spent my first 17 years as a sickly boy. However, even as a sickly boy, my mother has got me involved in her business as early as when I was only 8 years old. By the time I would be 10, I had become a “partner” with my mother in her business. At around 13 I joined my step-brother`s business where I later became the pillar that held that business and made it profitable. Around this time, I had started thinking that it doesn`t make sense to be an employee. Do you think it makes sense to be an employee? Somehow I started dreaming of becoming a successful business owner. I started my first personal business when I was only a little boy of 15 years. That business didn`t make me a millionaire but it made me richer than my mates, so I call it a successful business. I later sold that business and started another business. All this period, I was going to school and getting involve with businesses, either with anyone in my family or my own personal business. Business never affected my schooling. I was one of the best students in every school I have ever been. But even as I was in schools, my heart was in the business world. I would get involve in this business, spend hours talking with friends about that business, and invest in that other business. In fact, I was only 19 years old when I first invested in the Ecobank of Nigeria. You have probably started thinking, “this guy has a rich family”. My father was a cocoa farmer, my mother a tailor and a small business owner. But business is just my life, right from when I was a boy. I would think business, discuss business with friends and read different books about business. When I left school on June 30th, 2008 I decided never to collect my “good” certificate from school. Instead, I went straight to the business world. Everybody around me taught I was crazy. A friend offered me work at the Sky Bank of Nigeria, I said NO. My elder brother asked me to bring my CV, I told him that I didn`t need a job. I didn`t have much money to start a business (the whole money I had that time was around #8,500) but I had something that was more than money. I felt that I would be stupid to start searching for jobs. It was not easy for me, but because I have gathered so much business knowledge (from hundreds of books), it was easier to move forward. Today, people from near 30 countries are learning from my business wisdom and my business books has been to over 10 countries of the world. For over 20 years I have been operating in the Nigeria business environment. You Can Start Your Own Business and Make a lot of Money from it in Nigeria. and show you step-by-step, comprehensive, simple-to-understand ways to start a business of your own and to make money from your business in Nigeria. Now you have met someone who truly cares about you. Off course, you probably hate your job and you`re aware of the unemployment rate in Nigeria. Even if you study to get Ph.D., you may still not get a job in Nigeria. Do you think I’m exaggerating here? Read the following sadden new…. On Monday 5th of November, 2012 a Nigerian newspaper, Vanguard published a shocking story of how 13,000 people applied for job as truck drivers for Dangote Company. Among those who applied for truck driving job are 704 Master degree holders and 6 Ph.D. holders. Ph.D. holders are now begging for driving job in Nigeria. Get a copy of The Punch News Paper for the 16th March, 2014. There you will read the sadden story of how more than 18 Nigerians lost their precious lives when they were struggling to get Immigration job. Will you say that is too bad? The World Bank has declared since November 2013 that over 100 million Nigerians are living in abject poverty. Because Millions of Nigerians are unemployed, over 1.8 million youths are getting into labour market every year to add to the existing problem. Few people that are having jobs are underpaid. Yes, it`s happening every day. On Thursday, 30th July, 2015 Nigeria Monitor published the news of how Shell is planning to sack 6,500 of its workers. Now, you see that there is no much hope again in job! Millions of Nigerians who are running around for jobs are not getting any, so many of them are dying in attempt to get a job. Those that are having jobs are being grossly underpaid. Some people are thinking that government should solve this terrible problem and just as you and I know, our governments are simply noise makers. Even if any government will employ you today, it may give you one of those slavery jobs. Lastma in Lagos, OYES in Osun or YESO in Oyo… jobs for graduates to sweep roads or control traffic. I`m from Osun State. The present governor promised in 2007 to give job to 20,000 youths every year. When he would start giving them those “jobs” he was paying them #10,000 as salary. B.sc and HND holders, #10,000 per month. What do you think about that? That`s not the most painful part of the story. The most painful thing is that, they are working as street cleaners. Now you can see that it`s clear that if you`re expecting any government or company to employ you, you may die a poor, wretched man/woman. So what is the way out? You have to start your own business NOW! You must start your own business…………………. now! Please, can I tell you the truth? It`s not easy to start a business in Nigeria. And from my experience, it`s even easier to start a business in Nigeria than to make money (good money) from business. It`s not easy to make huge money from business in Nigeria. But it`s very possible, if you`re serious and if you will allow me to show you the way. If you`re serious, I will hold you by the hand, reveal some deep “secrets” to you, equip you with business tactics and strategies you need. Not me alone, but together with my team at the Africa Business Classroom (ABC). We have started this organization since September, 2007. We have been able to reach thousands of people in over 21 countries with our message. … from my age 15 when I started my first personal business, till now that I have become a business expert…. How to Make a Lot of Money Through Your Own Business. Though this book has thought many people how to have their own profitable business, it can NOT be helpful to everybody alike and it may not even be helpful to some people at all. This business book will NOT make you rich automatically. It will NOT drop one million naira into your bank account or make you the richest man by magic. If you`re looking for a book that will make you rich tomorrow, you`re at the wrong place. between now and the next 21 days and make a lot of money through it, as you grow your business. What Makes this Book so Different? This book is different from most books out there for three reasons. First, because it was written by an experienced business man who has spent over 20 years (per-time and full time) in the business world. This means that you`re not about to read mere theories. You`re about to read from my years of business experience and knowledge. The second thing that makes this book different is that it was written by a Nigerian who has been in the business world of Nigeria for many years. You see, there are thousands of books out there about business, but what you will find out is that many of those things the authors teach are not practicable in Nigeria. It`s not the authors` fault. Imagine someone who is living in the United States or the United Kingdom writing about how to start a business. Though he will do his best to write everything he knows, but he can never write FOR YOU because there is no way he could understand the business environments of Nigeria. This is a book written for YOU, because it`s written by a Nigerian who has years of practical business experience in Nigeria. That`s another thing that makes this book VERY different. I have been in the business world of Nigeria for over 20 years (per-time and full time) and got involved with over 11 businesses. That`s the reason why I can tell you that It`s Very Difficult to Find What is Inside This Book Elsewhere in Nigeria. I will even stay by your side, as your friend. The third reason why this book is unusual is that it`s not just a book. It`s a complete business training that`s design to REALLY help you to start your own business and become a successful business owner. Because I will stay by your side, like a friend. About two nights ago, a man paid for one of our books and called my line. Unfortunately, my official phone number was with my wife and she couldn`t answer his call (since I have instructed her not to answer my official or business calls). when I called him back and told him, “Sir, I will have to call you later as we have to spend longer time talking”, he was surprised. He thought all we have to do is to send his book to him and that`s all. To really help you, I have to stand by you…. as a friend. what if I am not available? what if my phone number is not available for you to discuss with me? I don`t think I have done you a great favour that way. If you ask me anything I don`t have a perfect answer for, I will connect you with any of my business friends or team members who is an expert in such field. This business training will teach you three things. Second, how to make money from your business. Starting a business in Nigeria is not a problem, don`t you know? Making money in the business is the number one challenge for many Nigerians. Thousands of Nigerians have started businesses and lose money because they don`t know how to make money from their business ventures. This business training will teach you, comprehensively about how to make money from your business. The third thing you will learn from this training is how to sustain your business, expand it and make it a successful company. Your goal should not be to be a “self-employed” person. Your goal is to be an employer of labour. Some people start business, make some money, then competitors come in and push them aside, because they are only “self-employed”. This business training will teach you how to stand strong, beat competitors, remain the leader in your industry and be a business giant (not just a self-employed person). How to start your own business + How to make money from your business + How to grow, expand and sustain your business in Nigeria. Two things you can be sure of…. Nothing in this training is theory and nothing in this training is complex. This business training is not a mere theory because it was written from my over 20 years of business experience and heavy studies. This training is filled with step-by-step, simple-to-understand, practical and easy-to-apply business revelations and secrets that even a 15 years old boy/girl could read and use. If you have read any of our business books before, you don`t need me to tell you this. You already know what the ABC stands for. Starting a business is not a problem. The real problem is in making money from your business. Read page 35 of this book to see an important step you must take to make your business successful. To make your business profitable in Nigeria, you have to be smart, strategic and tactical. Most Nigerians don`t know how to go about this. I will teach you on page 26. Most people think they need much money to start a business. Well, they are wrong! You will know what they don`t know on page 46. If you start a business today, you will definitely have some competitors. So tell me, how do you plan to make people buy from you and not your competitors? This is a big problem for most Nigerian business owners. It won`t be a problem for you anymore after reading chapter 11 of this book. Governments, news agencies and other people in Nigeria are advising you to be self-employed. That`s a bad advice. You don`t have to be self-employed. You have to be an employer of labour and a giant business owner. You`ll learn how to achieve this through this business book. 3 things I did between June, 2007 and July 24th, 2008 that helped me to be whom I am today. I will show you how you can use my exact secret in page 25 of this book. I have read from near 300 books about life and business even BEFORE I started fully in business on 24th July, 2008 so I thought I had knew so much and I was so proud until I later discovered something else which I’ll teach you on page 46 of this book. How the bad things that are happening in Nigeria can help you to start your own business. Believe me, some people are already taking the advantage of the ugly situations of Nigeria to be rich. This training will teach you can build a prosperous business, despite the ugly situations around you. The biggest mistake Nigerians make whenever they want to start business which is the reason why they fail. You have to know this mistake or you too will fail in business. Read page 24. A simple practical step you must take NOW, if truly you want to have a profitable business in Nigeria. You don`t need money to do this yet, most Nigerians don`t know about it. The secret I learned from a great business leader about 6 years ago that is helping me to make money when others are losing money in business. The name of that business giant is Brian Sher. I will share what I learned from him with you on page 25 of this book. How to make much money from business in Nigeria without inventing a new thing, provided you will follow my advice on page 40 of this book. Many lives have been touched by this organization (Africa Business Classroom) since 2007. Many Nigerians have bought our books and business training and have learned in two hours of reading our business training, what they couldn`t learn in 2 years of schooling, but you know something? We didn`t achieve what we have achieved so far just because we are the best in Africa. There are few (ethical) strategies we use to get people to fall in love with us. We`ll teach you one of these business strategies on 55-56 and some others within this book. Just as you cannot win a battle if you`re not having war strategies, you cannot have a lucrative business in Nigeria if you`re not having business strategies. Read page 27 of this business training to know how to get business strategies that will make your business profitable. Do you know that you can sell a good product or offer a great service and still not make money in Nigeria? Yes, if you don`t know what is on page 36 of this book. There is one business book I came across in the year 2008 and I still revisit it till today because the book has taught me so much about business. 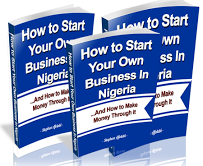 Every Nigerian who want to make money from business must read this book! I will tell you the name of this great business book on page 26 of this book. How to hate job and love business. Maybe you already hate your job, but you have to love business very much before you can be a successful entrepreneur in Nigeria. This business training will teach you how to do that. How I turn my talent to business and make money and how you too can turn your talent to a profitable business in Nigeria (pages 59-60). Must you lie before you can make money in Nigeria? No. I`m a born again child of God (by the grace of God). I don`t lie and I make money in Nigeria. I will reveal to you what most people don`t know which make them think that they have to lie to make money. Read page 37. Do you know that in a survey, more people said that they love the taste of Pepsi than the taste of Coca Cola? Yet, more people are buying Coca Cola than Pepsi. Why is this so? There is a secret Coca Cola uses which you too have to use to sell hundreds and thousands of whatever products/services you`re selling, even when you have competitors. If you don`t know this secret, just forget your dream of making money through your business in Nigeria (Read page 34 NOW). As you want to start your own business in Nigeria, what is the best thing to sell? Should you sell what people need or what they want? You will be surprised that you don`t know the answer until you read chapter 11 of this business book. Do you know that thousands of Nigerians hate MTN? They complain about their high tariffs, charges etc. yet, more than 90% of Nigerians have MTN Sims. What is happening here? There are ways to sell your products, even to people who claim to hate it. It`s a deep business tactic. Check page 34 and your eyes will be opened. One thing Dangote and every Nigerian successful business men/women do to make money in Nigeria, but which they may never tell you. I too do this and I’m willing to tell you on page 28 of this book. Do you know what marketers call USP? If you don`t know about USP and how to use it to start and make a business profitable, then why do you want to start a business? Don`t try that or else you will waste your money. Read pages 57-62 of this business training to know about USP and how to use it to start, run and make money from business, in Nigeria. How important is your business name? Do you know that your business name can be what will kill your business? If you don`t know this, I will advise you NOT to think of starting a business until you read how to use your business name as a strategy against your competitors starting from page 73. 9 ways by which you can win your competitors and build a profitable company. I`m NOT teaching you theory here. I did it in a business I started in September, 2012. I had a little success, because I didn`t do it right. I however used this same tactic again in April 2014 and I`m still using it till now and enjoying its great reward, so I know what I`m saying. Read page 61. One important business secret I taught two of our Nigerian entrepreneur “students” on phone in the last few months (about starting a business). I will teach you the most important thing I taught them in chapter 14 of this book. Most Nigerians who are starting business think they must sell their products and services at lower prices if the will attract people to what they are selling. They cannot be rich in the business world that way. You don`t have to sell at lower price. Just do what I will teach you from page 80 of this business training and you will be able to sell at normal (or higher) prices and your customers will even rush to buy from you. Nokia phone was always more expensive than Tecno, People rush to buy Apple products, even if it`s expensive, MTN sold Sim cards for #20,000 and you rushed to buy it. How do they do it? Any magic? Page 80-81 will reveal their secret to you. There are so many other practical business secrets inside this training that will help you to start your own business, make a lot of money and sustain a giant company, in Nigeria, even if you have little or no money now. So How Much is This Book? If you want me to teach you everything you need to start a profitable business in Nigeria and you want me to reveal to you the secrets of making money from business, you may have to pay #50,000 or more for my time and knowledge. You may even have to travel (either from Kano, Imo, Ekiti or wherever you are) and come and meet us at No 90, Lagos road, Ikorodu, Lagos or we meet in a hotel, which will add to your expenses. Now you don`t have to pay such amount to buy my time and business knowledge nor do you have to travel a long distance. You can easily get everything I want to teach you delivered to your e-mail address with a token of #10,000 (ten thousand naira). We are giving 1,000 copies of this business training out on a special 80% discount because of Nigerians who are unemployed or low income earners. ……. that is if you`re fast before the 1,000 special discount copies is finished. …….that is, IF you pay for this training before the discounted copies is finished. We`re giving out this special discount because we want to allow at least, 1000 Nigerians to get this business training cheap. Why are we giving out only 1,000 copies at discount? With the Nigeria current population of over 182 million, with over 100 million of unemployed and underpaid employees who want to start their own profitable business, why are will giving only 1,000 copies of this business training on discount, why not 100,000 copies or more? Because this business training is far more valuable than even its original price (#10,000) so giving it out at such a little amount (#1,999) is an act of generousity from us. When will this discounted price be over? When the 1,000 copies we`re giving out cheaply is over or when we change what is written here. The special discount is still available now. If you wish to get this book when it`s still cheap (for a token #1,999) you have to get it today, NOW. If you don`t get it cheaply NOW, you may have to pay #10,000 or more for it later. After all, You Can NOT Easily Find Any other Business Book Like This One Anywhere Else in Nigeria. If you doubt that, call me and I will give you the phone numbers of other Nigerians who have read this business book before. You can NOT easily get any other business book like this one in Nigeria… we know that and we`re proud of it. What If I Pay For This Business Training And I Can Not Get it? We`re Nigerians and we must not pretend there are no fraudulent people in our country. But not here. Not the Africa Business Classroom. We can NOT steal 10 million naira, not to talk of #10,000. Your book will be delivered to you within 5 minutes after you paid for it. What if I have very small capital to start a business, can this training help me? We understand this situation and that`s why I go extra mile to teach you how to get resources to start a business of your own in Nigeria (even if you don`t have any money). Since I have been doing this for years, you can trust I know what I`m saying here. I wouldn`t tell you that it`s a magic or it`s possible without any effort from you, but I`m telling you that getting resources to finance your business in Nigeria is easier than you think… and I will teach you how to do it inside this training. What do I need to be able to read this business book or how can I get this book? This business training is an e-book, on PDF. You can read it through your phone, laptop or desktop computer. because it`s a practical book that will give you many inspiration, business ideas, tactics and business secrets you will have to note down. How Can I Order For This Business Book? There are three simple options for you. You can do this easily without leaving your room, just with your ATM card. NOTE; The above process is very simple, secured and easy. with the above option, you will get this book in your email address immediately. This second option too is very simple and easy to use. If you use this second option, simply send your e-mail address to 08100446044 and your book will be sent to your e-mail address immediately. Direct bank payment to any of the above three banks. If you pay online, you will download your book immediately, NOW. Please Note: if you have any question, simply text or call me. I`m available to respond to you. Yes, there is one great business book you will receive as bonus for buying this business training. This business book was written by someone I myself call business genius, Seth Godin. Seth Godin has taught me so much about how to make money from business and if I want to tell you the truth, I cannot compare myself with him if we`re talking about business skills and wisdom. He is a Lion. I`m a cart. There is one of his books that is helping me to make more money than I would have made. I will generously show you how to get this great business book, for FREE. What if You Don`t Like This Business book? What if this book is another internet fraud? What if this another lie as We use to see in Nigeria? Really, I wouldn`t want to tell you any sweet word here, but you can be sure the Africa Business Classroom (ABC) can be trusted. We have a name we have been building since 2007 and we cannot spoil that name with 10 million naira, not to talk of a token you will pay for this book. There has never been anyone who read our business books or training and complain. However, if you don`t like this training for any reason whatsoever, just call us immediately on 08100446044. We will not ask you any question. 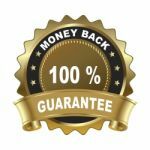 Just tell us the amount you paid for the book and you will be refunded 100% plus our apology… guaranteed! And you will still have this business training and the bonus book with you. Why are we so confident? First, because we`re sure this business training is beyond what you think it is. You might never have come across anything like this business training before and you can NOT find anything like it easily. Second, because we`re far bigger than a token of #1,999 you may pay for this training. We started this organization, Africa Business Classroom in a room with 2 people on September, 2007. Today, our message has reached people in over 21 countries and we`re still growing. You Taught Me How to Be a Successful Entrepreneur. “I really thank God for making my paths cross with ABC….. (your business course) is quite exceptional” Jesse Francis. 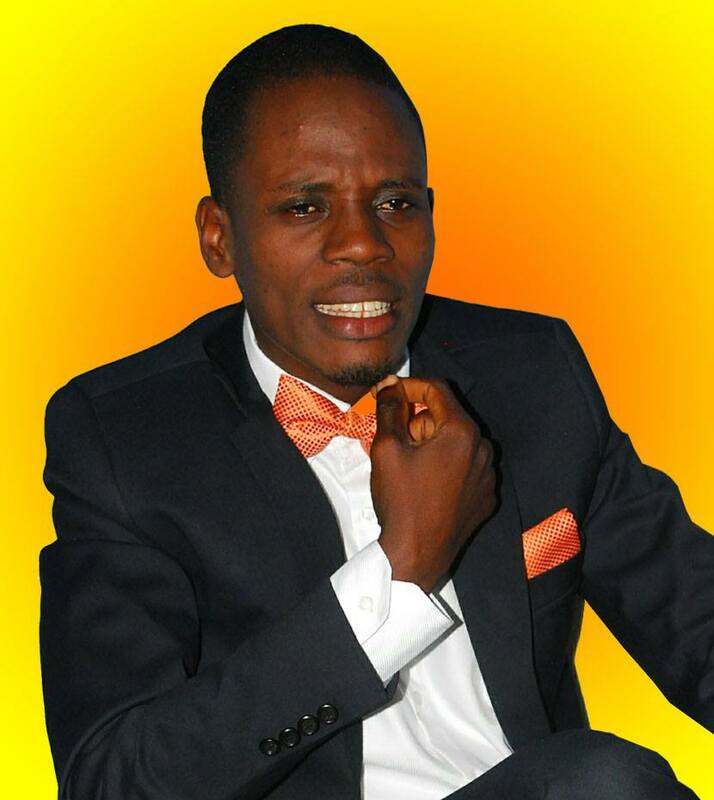 “I am thankful to God for the day I came in contact with the ABC” Opara Chibuzor. Plus hundreds of testimonies of how the ABC has been changing lives since 2007. This book may help you as it has helped others and it may not, depending on your readiness to apply what we teach therein. Over 1.8 million Nigerians are joining labour market every year (source; former CBN governor, Charles Soludo), adding to the millions of people who are helplessly searching for jobs that are not available. As if this is not enough problem for Nigeria, every day people who are having jobs are losing their jobs. If you don`t start your own business NOW, your financial future is not safe. Rescue yourself from poverty and wretchedness. Let us show you step-by-step, practical, easy-to-apply method to start your own business and make money from it, in Nigeria. If you want to get it at a special 80% discount (at only #1,999), then, you have to act fast because tens of Nigerians may be reading this page at the same time as you`re doing now. Get this book in your email instantly. 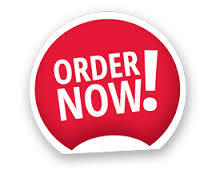 Order for it online on our United States, secured payment processor. The above option is VERY simple and easy. Just in 3 minutes, you will get this book in your email address. Make direct bank payment of a token #1,999 to any of the above banks. If you order for this book online, you will get it immediately. If you use bank transfer or direct bank payment, you will send your email address to 08100446044. Started since September 2007, Africa Business Classroom is a registered organization in Nigeria under the Federal government of Nigeria’s Companies and Allied Acts. Our mission to train one million Africans to be successful entrepreneurs. No. 9, Hakeem Ogbara Str., Oke Oriya. Ikorodu, Lagos.